This guide shows you the way to play the related DVD videos on mobile phone, such as Nokia, Sony Ericsson, LG, Samsung, Blackberry, and so on with converting DVD to 3GP format. 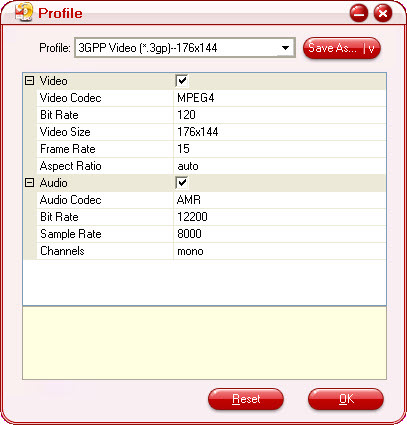 Pavtube DVD to 3GP Converter is a choice to get the great work down. Click the Format drop-down menu to select the needed format. Click the browse button to change the output folder, or click the "Open" button to open the output folder. Select a title or a chapter, and then click on the play button; or double click on the file to preview. Take snapshots of the previewing DVD images for thumbnail or wallpaper. Select the subtitle of the movie if the DVD itself has more than one language. Choose the audio track of the DVD movie. Choose a preferred angle to enjoy if the DVD was recorded with different angles. Drag the slider bar to change the video brightness with the direct effect on the preview pane. 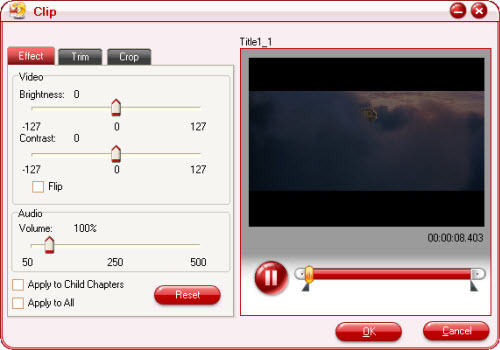 Drag the slider bar to set the contrast of DVD movie with the direct effect on the preview pane. If the DVD image does not display correctly, check the box to get it right. Change the audio volume, and get it comfortable for your listening. Apply to all the files on the list. If the video on the preview pane is named with "Title" (not a chapter), you can choose to apply the settings to the sub-chapters. 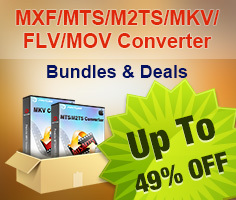 Enter value for the time and click to apply the change of time. Drag the slider bars to get the start time and end time. Select an effect under the drop down list of the "Letter Box ". Drag the dashed frame on the right pane. Click arrow box or scroll value in the box for the four positions to set the ratio. Check to stretch the image with the aspect ratio of cropped video automatically. Overwrite, rename, or skip the output file when there is same file name in the output folder. Deinterlace the video for a perfect playing of all the output files. Save image as JPEG, THM or BMP. Use the original video size or set the width and height for the wanted size. 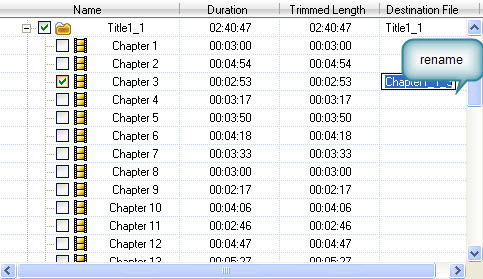 Click the file name of chapters or titles on "Destination File" to enter a new name. Click on the "Start" button, while all the settings are ready. Open the output file after conversion, so that you can find the files quickly. Set to shut down computer, if there is no other task you want to do with your computer. 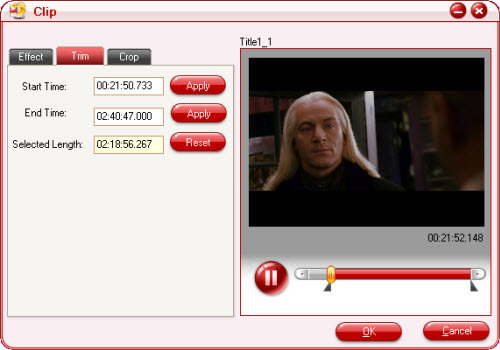 Finally, you can transfer the output files to your mobile phone and enjoy the DVD movies freely.